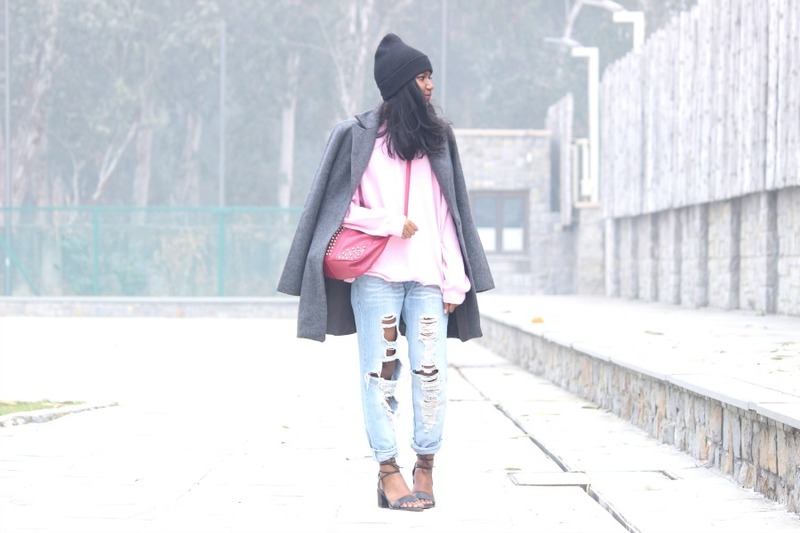 IN STYLE CUSTODY: Roseleen | Distressed Jeans In Winters? 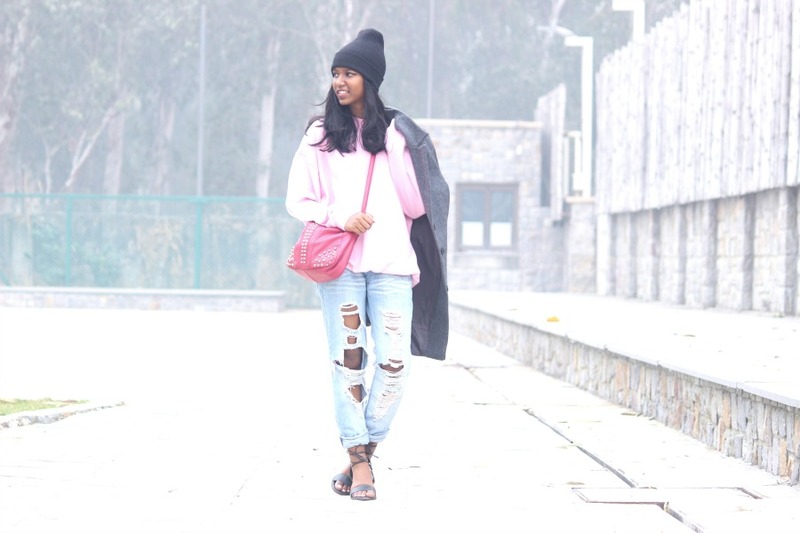 Roseleen | Distressed Jeans In Winters? Hey ya'll! Hope you are doing well. If you know me, you'll know that distressed jeans are like my second skin. Keeping the temperature in mind, I still didn't want to keep them untouched yet didn't want to shiver to death. This is where warm layers came to my rescue. 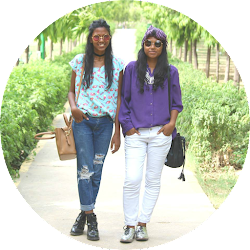 Keep in mind you don't want to go overboard with layering and create a monotonous outfit. The pink sweater breaks that monotony here. 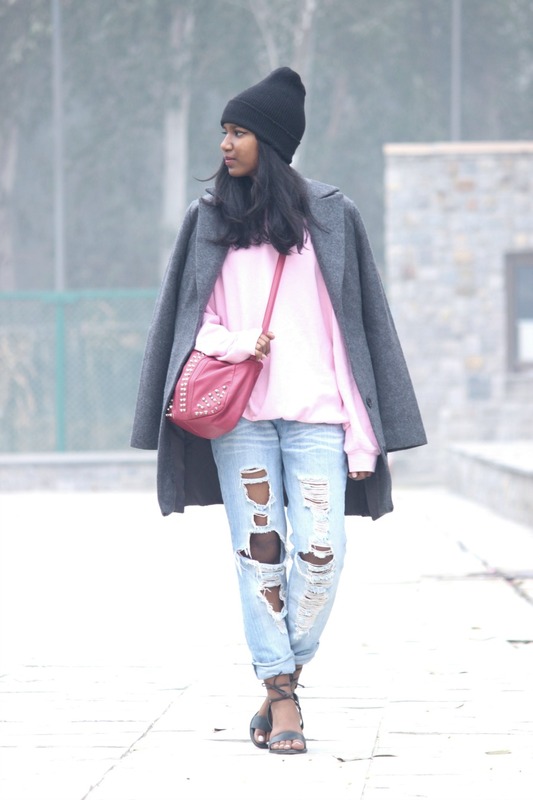 Oversized clothing such as the sweater and the jeans here, needed a little bit of structure to a balance the outfit. I coordinated these oversized elements with a coat and tie up sandals to provide the desired effect. The sandals also add a touch of femininity as opposed to the bulky ensemble. 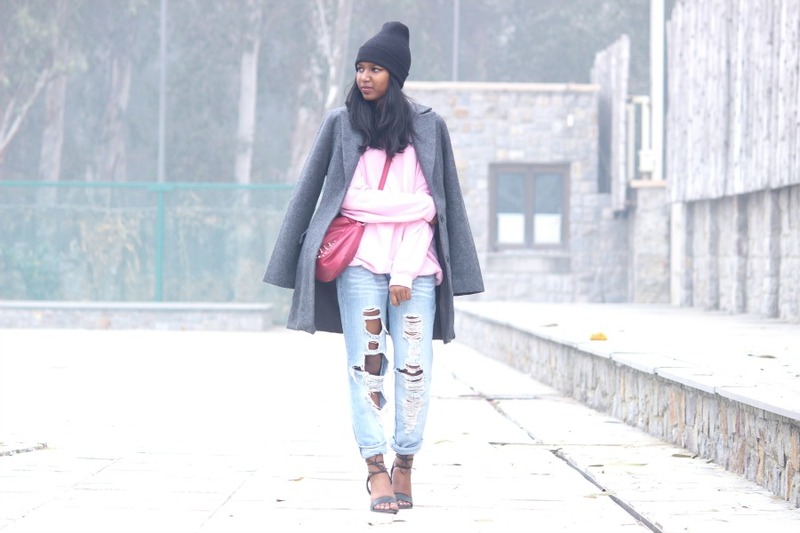 Hope this gave you an idea on how to wear your distressed jeans in winter. If you're feeling extra cold, just wear a beanie. Do let us know in the comments below if you liked this outfit.